Facebook Auction ~ $11.00 CAN. Another good Facebook find - a full sized Too Faced Peaches and Cream lipstick in Drunk Dial - these are $25.00 and this one is brand new! This is a formula I have been interested in trying, so I was excited to find this one! ColourPop Haul ~ $71.91 CAN. Because I didn't buy enough ColourPop palettes over the last 2 months, I just thought I would buy some more! 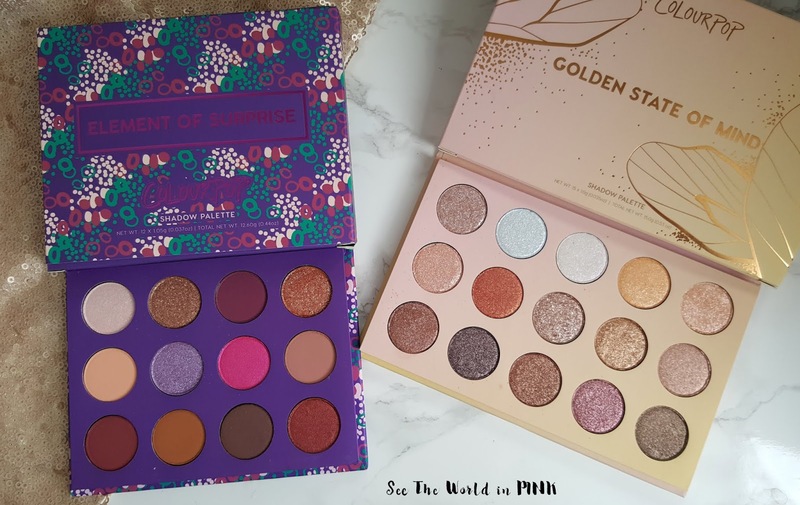 It has been a long time since I made a ColourPop order - I have been hit with customs charges on my last few orders and was just tired of it; but, luckily this order, I didn't get a customs fee (yay!!!). But, I have been collecting a list of items I wanted to try and sort of picked up one of each - supernova shadow, brow gel, lippie stix, lux lipsticks, no filter concealer. I also had to pick up the Yes Please palette as I have been wanting it forever and I waited until May so I could get their Birthday Wish supershock shadow! I will dedicate a whole blog post to this haul so you can see everything! Bundle Monster Order ~ $28.38 CAN. I have never ordered from Bundle Monster before; but, when NinaNailedIt announced these limited edition gold stickers, I had to have them - she is total nail goals and I really want to use these all up (you can check out my first Manicure Monday using these stickers here - it's one of my Favorites!) Also, I picked up a few stamping plates as I really want to start stamping more as well! GoScratchIt Monthly Mani Kit ~ $19.83 CAN. 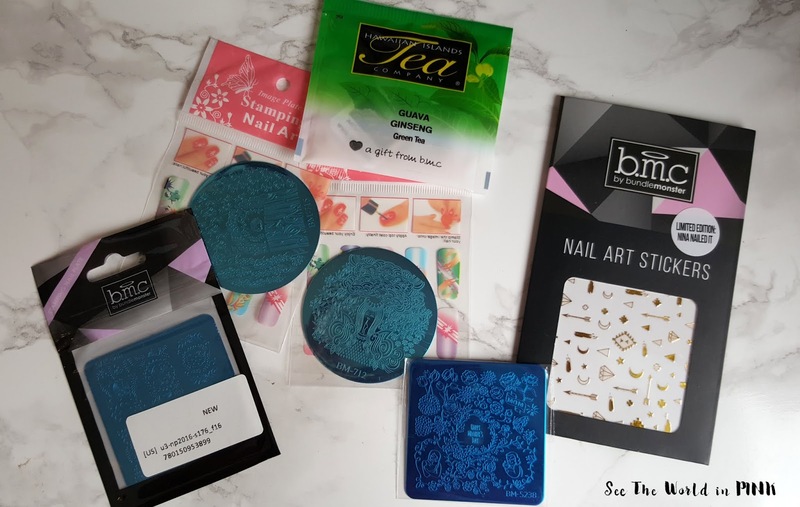 Staying on the topic of NinaNailedIt, I subscribe every once in a while to the Scratch Monthly Mani Kit subscription - each month it comes with an exclusive set of nail wraps designed by Nina! I love the design of these Tropicana wraps and they always have cute little add ons too! I think these holographic stickers will give me that Shattered Glass manicure! Wet n Wild Flights of Fancy Set ~ $87.14 CAN. Yes you read that right - I paid $87 for a $35 US set plus a 10 pan eyeshadow palette! Ugh, but I needed it! The shipping from Wet n Wild website is expensive and the exchange rate was counted in there. Regardless, I loved this whole collection - you can see swatches, a makeup look and my thoughts here. Storybook Cosmetics Book Club Subscription ~ $44.51 CAN. I usually don't mention subscriptions until the month I get them; but, I pre-ordered this and it's not delivered until August! I'm such a fan of this brand and their packaging that I cannot wait to see what they come up with! This subscription will come with a different book palette every month with 3 shadows and a lipstick all based on a different book - the first month August, will be on Little Women! Sephora Haul ~ $59.85 CAN. Ahhh... I had to order this Nails Inc Flock You set as soon as I saw it at Sephora - the last set of theirs I wanted sold out in a day and then they erased it from their website, so I was not missing this one! What an amazing set it is - you can see it in my most recent Manicure Monday post! Also, this Clarins moisturizer is my husband's favorite so I picked him up another one! My add on code got me 3 deluxe samples - the Stila lipstick, Grande mascara, and Sol De Janeiro scrub. For my 3 samples I picked up the Boscia cleanser, Ole Henriksen moisturizer, and Too Faced primer! I do enjoy Colourpop palettes! Enjoy all your new products. I need to try more of their lip products. Thanks - I'm so excited to try ColourPop palettes!